We all love our four-legged friends. In fact, cats have been one of our best-domesticated partners for over 10,000 years. 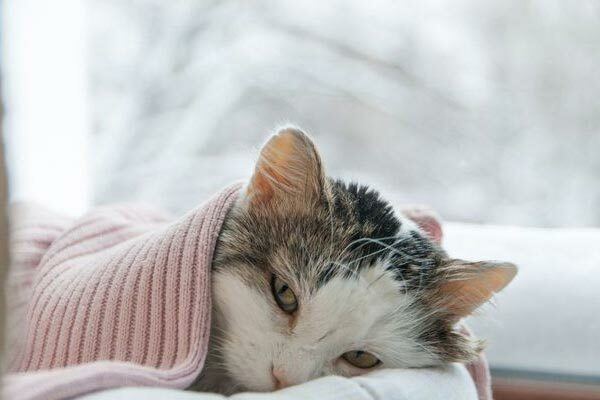 However, if you are new to cat ownership, you might not know how to tell if your cat is feeling under the weather. Here are our best tips to figure out if your cat is sick, what symptoms and possible ailments they have and what you can do to treat them. What if My Cat Doesn’t My Cat Look Sick? It can be difficult for even the most seasoned cat owner to tell if their feline is sick because cats often mask the fact that they are in pain or suffering. Why? One word: biology. Vetstreet explains that while our house meows might be domesticated, they still have the same instincts as their wildcat relatives such as the lion or tiger which is, “eat or be eaten”. If a cat in the wild shows any sign of weakness, it becomes a bigger target for becoming prey rather than a predator. This means that as a cat owner, you must be extra diligent to assess your cat for signs and symptoms of any illnesses to catch them in time for proper treatment because, by the time a cat is showing symptoms, it is likely very ill and in need of immediate medical care. There is a multitude of health issues or illnesses that can affect both cats and kittens, and it can sound hard to remember the symptoms of each individual ailment. 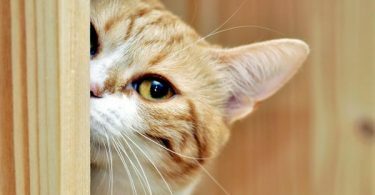 Instead of trying to memorize everything, try living by one simple rule: if your cat is acting strange or exhibiting any behaviors that are unusual for it, you should take it in for a vet check. This is in addition to your yearly checkups. Symptoms can vary due to the specific illness and also vary by a cat, which is why it’s important to know the usual temperament and activities of your individual feline. Again, while this is not a complete list, it is always best to have a vet check over your cat when any of these symptoms occur or if fluffy is acting differently than normal. You know your cat best, so if you feel something is off, it never hurts to get a second opinion. Cats suffer a multitude of health issues, some common, some rarer than others. Here is a list of ones we feel are important to note and keep in mind as a cat owner. 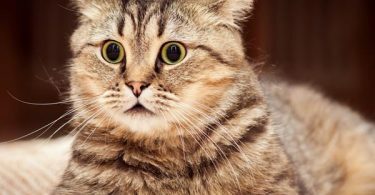 While this list cannot help you diagnose your cat (only a licensed veterinarian can do that for you), this can give you a general idea of what may be going on with your cat and help guide you and your vet towards a proper diagnosis and treatment. Upper respiratory infections are extremely common in kittens; in communal colonies such as feral cat colonies, and organizations such as private rescues and pet shelters. This is because these cats are in a situation where they have higher exposure to the virus, and typically have had fewer vaccinations than most cats, while also having a weaker immune system such as kittens. That said, any cat is capable of catching an upper respiratory infection, so it’s important to keep an eye on how your cat is looking and acting. While upper respiratory infections are treatable, they can be highly infectious to other cats and is potentially fatal if not corrected. Your vet can prescribe antibiotics to help treat the infection, and you can even run a dehumidifier in your house to get more moisture in the air which will help your cat breathe easier. While urinary tract infections are more uncommon in cats according to VCAhospitals, it’s still important to know the signs. Signs and symptoms are excessive urination, accidents outside the litter box, straining to urinate, and excessive licking of the genitalia, with occasionally even blood in the urine. A urinary tract infection happens when bacteria makes its way into the urethra and can be a very uncomfortable ailment for your kitty, and if not caught early it can move higher up into a bladder or kidney infection, so it’s important to get it checked out by a vet and put your pet on antibiotics as soon as possible. Is your cat scratching its ears or body excessively? It’s possible it might have fleas or ear mites. Fleas are tiny black parasites that live on the skin of animals and can actually transfer from dogs, humans, horses and other animals. You can see fleas if you part your cat’s hair and see black bugs crawling around. They can also live in your carpet fibers, so it’s important to treat your entire house if your cat has been diagnosed with them. You can buy routine flea medication to use throughout the year, especially if you are in an area more prone to flea infestations. Ear Mites, on the other hand, are invisible to the human eye and not transferable between species (dogs can get them, however, it is fairly uncommon for them to do so). When a cat has ear mites, it will shake its head repeatedly, scratch at its ears, and its ears will appear dirty to the human eye. A vet will take a swab sample of the ear and verify mites under the microscope, and will prescribe prescription ear drops to eliminate the ear mites. Either way it is important to treat your pet for any parasites – a prolonged infestation of parasites can actually weaken your pet’s immune system and cause anemia. Ironically, ringworm isn’t a worm at all. It is a fungus of the skin, similar to athlete’s foot. However, it is called “ringworm” because of the rashes ring-shaped, red appearance. Ringworm is itchy, causes hair loss and can transfer easily to other cats, dogs, and humans, so it is important to get a topical ointment from your veterinarian to treat it. It can also take quite a bit of time to eliminate completely once treatment is started. If your pet has ringworm, be sure to use the ointment as prescribed and to also wash all toys and bedding and flooring frequently to help eliminate the microscopic “shed” of the ringworm that is left behind, so it won’t keep spreading. It is recommended that we deworm our cats and dogs twice a year. Worms and intestinal parasites happen for a variety of reasons, usually, it is something they either have as a young, stray animal or they caused by larvae in something our pets eat such as meat left out, or a dropped piece of food they find outside. Intestinal worms will make your cats belly appear swollen, although your cat itself may actually be fairly skinny underneath the round abdomen. This is because the worms are receiving and leeching all the nutrients away from your animal. Once you give a dewormer to a cat, the parasites will begin dying off and will be passed through the GI tract with no complications, and your cat will return to a normal healthy weight and shape. The ASPCA has a great list of other common cat illnesses to be aware of, or you can watch the 10 Most Common Diseases in Cats on this YouTube Video. We will always stress the importance of taking your pet to the vet for any health issues or behavioral changes, that said, there are a few things you can have on hand at home to help your cat feel better quicker. Karo syrup: This is great for diabetic cats or kittens who have weak immune systems. Sick kittens’ health can tank really fast, so it’s important to have something in your toolbox to help you bring their blood sugar back up to a safe level. The sugar content in Karl syrup does just that. All you have to do is rub a tiny amount on the cat’s gums to help spike the blood sugar back up. This is more for an emergency situation if you have a cat who is ailing and you need to keep it going on the way to the vet, but it has saved many lives in a pinch. Canned pumpkin: This is the hidden gem of the grocery store baking aisle. Canned pumpkin has a lot of fiber in it, which can help realign a cat’s digestive tract. Cathealth.com lists multiple uses for it such as weight management, hairball control, and assistance in correcting diarrhea and constipation naturally. To feed, simply scoop 1-2 teaspoons onto your cat’s food. Meat flavored baby food: mix with canned cat food and syringe in cats mouth to help get food back in the cat’s system. This can be really helpful when teaching young kittens how to wean or switching bottle babies onto soft foods. For older cats, this is usually given in a purée with water/Pedialyte/canned cat food to help get nutrition into their stomachs if they aren’t eating. Cats cannot go a long period of time without food or their body will start shutting down, so this can be an easy way to help force-feed them until they start eating on their own again. No matter what your cat was going on, we hope this list helps you find a way to keep them happy, healthy and safe for the rest of their furry little lives.